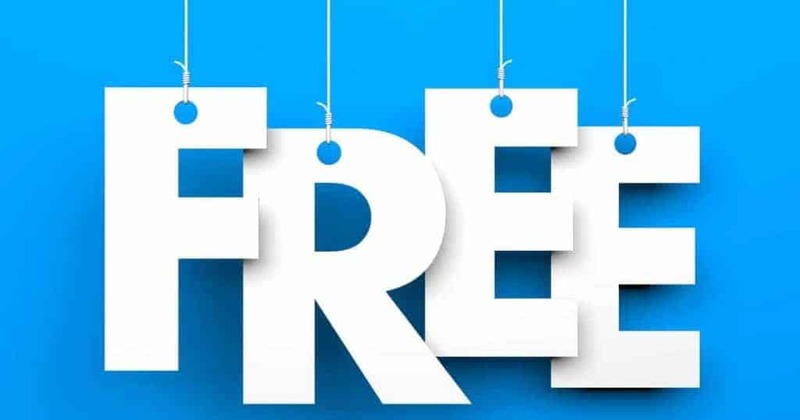 Did You Know: There are hundreds of free government resources that homeschoolers can take advantage for lesson plans, activities and more? 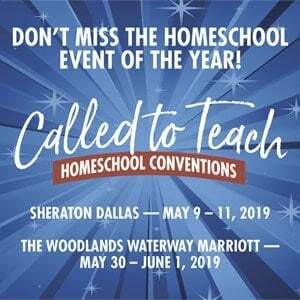 We have broken down resources by grade levels and categories that include health, food safety, ecology, earth science, astronomy, scientific research, and more topics for easy access to the information most applicable to your homeschooling. NEI For Kids: The National Eye Institute’s unique “for kids” website provides a variety of fun learning tools about the human eye, ranging from optical illusions to video interviews with scientists. Printables: The site also offers free PDF printables of educational activity books or fact sheets for younger students. Any homeschool parent teaching about eye anatomy and health can find a wealth of resources here. Teacher Roadmap: CDC’s Teacher Roadmap provides lesson plans, training materials, and more to teach a 12-week course on public health science for high schoolers. The resources are available for online viewing or as PDF downloads. Other detailed documents can be viewed through the CDC’s Science Ambassador page. Curriculum: The Partnership for Food Safety Education offers PDF downloads of curricula on health and food safety for students grades K-12. Worksheets, fact sheets, and coloring pages are also available. Games: A variety of free online games and activities let kids practice cleaning, shooting bacteria, and keeping their food safe. Disease cards: Trading cards depicting bacteria and viruses teach kids about disease and how to keep themselves healthy. KidsHealth.org: This website features four main pages targeting parents, kids, teens, and educators. Each section includes articles, videos, quizzes and advice on staying healthy. Podcasts: Students fascinated by microbiology can listen to podcasts on the latest microbe research. The Paper Kingdom: This interactive game, targeting ages 8-14, teaches kids about the importance of staying healthy. WeCan: This health program for kids aged 2-5 provides sheets and tips to track screen time, stay active, and more. WaterSense quiz: This PDF quiz features two pages of questions on water conservation and an answer key for the teacher. WaterSense resources for teachers: PDFs, worksheets and fact sheets about water conservation are available to download for free. Food safety fact sheets: The USDA offers downloadable fact sheets on proper cooking and handling of food to prevent cross-contamination and foodborne illness. Ask Karen: A virtual representative who knows everything about food safety, Karen will answer questions about the proper cook time for different foods, keeping the cooking area clean, and a variety of other topics. Educational resources: This page provides access to activity books, games, puzzles, videos and more food safety education materials. Food Safety Discovery Zone: A traveling exhibit covering food safety and nutrition, the Discovery Zone can be enjoyed online as well. Fact sheets: The Botanic Garden website offers downloads of fact sheets on plant science and sustainable gardening. Landscape for Life: This collaborative effort features free downloads of an instructor’s manual, student manual, and accompanying class presentations on home gardening and keeping plants healthy. Virtual tour: With Adobe Flash, you and your students can tour the Botanic Garden from your laptop screen! Collections database: This tool allows you to locate a specific type of plant in the garden’s extensive collection. Rare and endangered plants gallery: This gallery features photos and information about some of the rarest plants in the country. North American Orchid Conservation Center (NAOCC): This collaborative effort features information about rare species of orchids, as well as free printables of the orchid’s life cycle and other facts. This nature-oriented site provides up-to-date information on a variety of topics, including animal migration, endangered species, natural habitats and many more. Trailcams: The Wildlife Service blog and social media pages feature gorgeous snapshots of animals in their natural habitats, captured on high-quality trailcams. Homework Help offers students two sections on endangered species: “Weird & Wonderful Wildlife” and “Species Information”. Kids in Parks: The NPS offers kids the chance to go on field trips, examine fossils, observe wildlife up close, and even become a Junior Ranger. Every Kid in a Park: Designed for fourth graders and homeschooled ten-year-olds (yes, the page specifically mentions homeschoolers! ), this online activity allows your fourth grade student to earn a free pass to any National Park for a full year. Teachers: Homeschool educators can plan field trips, view multimedia, and browse the extensive teacher resources library for lesson plans and more. Webcams: Watch bears fish in rivers around the country from the comfort of your own home! Distance learning: Grand Canyon National Park offers free distance learning programs for students of all ages. Registration is first come, first served, and application dates for each school year can be found on the website. Smokey the Bear: This iconic bear teaches kids how to prevent forest fires. Kids can play games or download coloring pages, and instructors can download activity guides, posters, and more designed for grades K-8. Ocean Explorer: NOAA’s ongoing “ocean explorer” project follows scientists and underwater cameras as they explore the depths of the ocean and investigate sea creatures. Recordings and live-streams of their discoveries are available in high-quality on the website. Multimedia and videos: Videos, interactive maps, puzzles and much more can be accessed for free on the NOAA Explorer site. Shortcuts to additional learning material and detailed articles are also available on the education homepage. Fact sheets and activities: Fact sheets, educational resources, and more can be downloaded as PDF documents from NOAA’s old fisheries website. NOAA Fisheries is moving their material to a new site and they aren’t quite organized yet, so for now, the older version is the better place to find downloadable resources. Summer activities: NOAA offers high school and early college students a variety of summer opportunities, including a paid internship for marine biology enthusiasts, a geoscience internship, a chance to study marine ecosystems up close, and more. Ocean Guardian program: Ocean Guardian encompasses many grade levels, providing an activity book for grades K-3, a kids’ club for grades K-8, a scuba diving club for ages 8-12, and the chance to register as an “Ocean Guardian classroom” to study ocean conservation. Multimedia library: Explore photos, videos, podcasts and live webcam footage focused on environmental changes and conservation. Written publications such as journal articles and book chapters can also be browsed for free. Interactive maps: Students can study topographical, geological and more data with these interactive maps updated with the latest information. Science Explorer: This online science encyclopedia lists broad categories such as “Biology and Ecosystems”, which in turn divides into specific topics listed alphabetically. Any student or home educator can find a wealth of information on a variety of scientific topics on this page. Maps: Track forecasts and watch live radar maps to see weather patterns in action. You can even pull up your specific region to see what’s happening. Owlie Skywarn: This cute little cartoon owl guides kids through games, activities and a coloring book to study weather and earn a meteorology certificate upon completion. Adobe Flash is required to play his games. The Harnessed Atom: This high school curriculum on nuclear science comes with free PDF downloads of a student edition book, instructor edition, games and activities, and accompanying presentations. Decorative posters: From Nuclear Week in October, the Office of Nuclear Energy offers colorful decorative posters with facts about nuclear power. Women of STEM: Girls interested in a career in science, technology, engineering or math (STEM) will be fascinated with NASA’s wealth of articles and interviews focused on the roles women play in today’s technological empire. StarChild: A kid-oriented segment of the NASA website, StarChild features a “question of the month,” educational games, articles written at a child’s reading level, and an informal astronomy education plan for children at different learning levels. For children older than 14, StarChild offers the slightly higher-level Imagine the Universe! website. NASA Kids’ Club: This site includes games, interactive maps, information on the space station, and helpful guides for parents and educators. 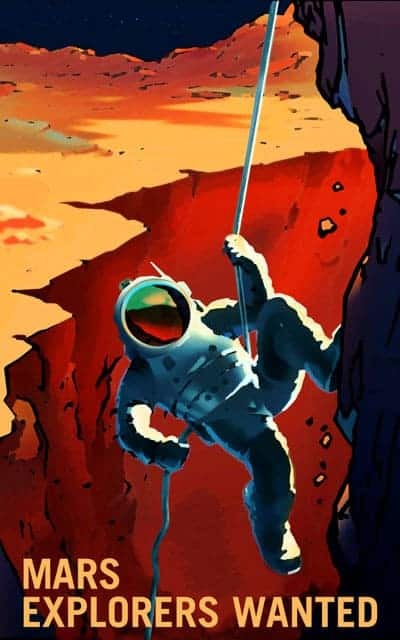 NASA Next (sample issue): “NASA Next” is a completely digital magazine with up-to-date science, news and information on NASA careers. Issues focus on new discoveries and recent data from interplanetary probes. For Educators: This page organizes a good amount of NASA’s online content into different age categories to help educators find appropriate resources about NASA careers, astronomy, physics and many other topics. Back-to-school resources: Breathtaking photographs of our solar system, blown up to poster size, can be downloaded for free to decorate the science-oriented homeschool classroom. Multimedia gallery: Pictures, videos, and audio lessons dealing with every kind of science imaginable can be viewed for free in the multimedia library. Science 360: Science-related news videos and stories from around the world are available here, right at your fingertips. There are even more free government resources for topics that extend beyond science and health that are beneficiary to homeschoolers. Consider these resources on economics, history, educator resources, scholarships and grants, disaster preparation and fine arts. Interactive data: The BEA’s website offers you the chance to access economic statistics from around the country and the world, organized by account and topic. Multimedia: Videos and other media show economic changes at certain times, and how the economic state of the nation led to those consequences. Economy at a glance: This provides a current chart of the nation’s economic state and any estimated changes in the near future. Interactive maps: These maps and infographics provide data on a region’s population and average income as part of an economics study. Image gallery: The Bureau’s website features a detailed gallery of images on contemporary American money, as well as historical designs and their significance. Downloadable resources: Information about money laws, collection and anti-counterfeit measures can be downloaded as PDFs. The U.S. Currency Resource Center is your gateway to podcasts, videos and a U.S. Currency Training Course for recognizing counterfeit. While the Bureau of Engraving works with paper money, the U.S. Mint focuses on the history and design of coins. Tours: The website offers virtual tours and downloadable brochures for the mint facilities in Philadelphia and Denver. Kids’ resources: Games, cartoons and more teach kids about the history of minting coins and the meaning behind their artwork. Educators’ resources: Lesson plans encompassing every grade level are provided. The plans are embedded in web pages rather than available as PDF downloads, and may require the educator to first buy certain books or materials to prepare. Collectible cards: These printable cards show pictures and information on America’s most famous inventors, what they invented, and the patent they held. 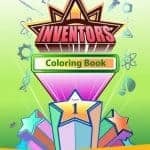 Activities: Download coloring sheets or help your students build their own inventions on this webpage. Kids: This page compiles links to activities, games and other kid-oriented material on the USPTO’s website. Teen education: This portion of the website focuses on teaching slightly older kids and teenagers about inventions and patent holding. Parents: The USPTO has helpfully organized its web material into easy-to-search categories on this page, designed to help parents get an overview of what the site has to offer. Wallpapers: Download brightly colored wallpapers for your computer and encourage your kids to invent. Lesson plans: This page provides links to educational material provided by groups such as the U.S. Mint, as well as links to PDF lesson plans on personal finance. History: Download PDF lessons on the Treasury’s buildings history and significance. Education: The Treasury website publishes articles explaining the history of the U.S. Treasury and its purpose in the government. DocsTeach: This interactive program for teachers lets you choose a historically significant document to focus on, customize activities to teach it, and access activities created by other teachers. Special Topics and Tools: The National Archives provides free ebooks, iTunes downloads, and more. Their Historypin tool even allows you to view recreated historical events in Google Street View! Interactive Constitution: This free online tool allows students to explore the Constitution and read analysis of each amendment. Constitutional Hall Pass: Top constitutional scholars discuss history and the Founding Fathers in this video series. Lesson plans: Designed for various grade levels, these lesson plans cover American art history, presidential stump speeches, events that rocked the nation, and more. The plans are free, but signing up for an email newsletter is required to access several of them. Games: These games target early elementary through high school students and focus on voting rights, the Founding Fathers, and more. Activities: Play “Bill of Rights Bingo” and design your own secret code with these PDF downloads of fun activities. Ben’s Guide to the U.S. Government: Designed for ages 4-14+, this online interactive lesson plan includes games, lessons on law and history, and more. Catalogue of U.S. Government Publications: More likely to appeal to high school students and up, this search engine allows you to search for a huge variety of government publications and their significance. U.S. House of Representatives: Articles and explanations on the House’s history are available for students and educators to access. The Congressional App Challenge: This challenge gives students a chance to participate in a scientific field by creating and exhibiting an app. Winners are recognized by their Congress representative and their work is displayed in the U.S. Capitol. Kids in the House: Designed for learners of all ages, this website includes articles about the House written at a child’s reading level. Teachers can find links to more resources and PDF downloads through the resources page. Congressional Art Competition: Every spring, high school students around the nation submit their visual art projects to a contest hosted by the House of Representatives. Winners receive national recognition and have their work displayed in the Capitol for a full year. Details are available on the competition’s webpage and rules list. U.S. Senate: Though not quite as interactive as the House website, the Senate website features livestreams, details of active legislation, and calendars of events in the Senate. U.S. Capitol Visitors’ Center: You don’t have to travel all the way to D.C. to learn about the history of the U.S. Capitol. The visitors’ center website offers downloadable lesson plans and activity guides for students and home educators alike. Kids’ Zone: What kid doesn’t love secret agents? The CIA Kids’ Zone offers educational articles and games for students from kindergarten to 12th grade, even including stories about the top K9 officers used by agents. Headquarters Tour: The website also displays a photo gallery tour of key locations in the CIA headquarters, along with a challenging puzzle to solve. Resources for educators: Browse interviews with Holocaust survivors, detailed articles by museum staff, teaching guidelines, a 38-minute documentary, and more for use in your homeschool classroom. Encyclopedia: The museum website features an extensive encyclopedia on the Holocaust and its impact on the world, along with museum artifacts, maps, personal testimonies, historical footage, and much more. Current exhibits: Even if you cannot travel to the museum, the website offers a description and photographs of its major permanent exhibits for a summarized history lesson. History explorer: Browse museum artifacts, teacher’s guides, lessons and much more in this extensive website. Game center: Students can play games on topics from biology to disaster preparation. Model browser: The Smithsonian is working on uploading digital 3D models of their artifacts to the web, and they’re available for free! Curate your own tour through the Smithsonian’s incredible collection. Museum Collections: Browse an immense library of audio, video, documents and more housed in the Smithsonian historical collections. Learning Lab: Links provided here allow teachers to find specific museum artifacts, write a lesson plan or use a provided one, and give the day’s lesson based on Smithsonian research. For parents of special needs students, this website offers information on Individualized Education Plans (IEPs), the Individuals with Disabilities Act (IDEA), and other important resources for special education. For a full list of the laws that impact special education and persons with disabilities, see The Special Education Support Toolbox (50+ Special Needs Resources). The Library of Congress offers resources such as webcasts, featured library items, historical photos and documents online, and much more. Student Discovery Sets: Free to download on iTunes, these books encompass lessons in history, science, and a variety of other topics, using historical documents and photos from all over the country. Ask a Librarian: Here, you can browse pages upon pages of frequently asked questions on topics covered in the library, and even talk directly to a librarian! Letters About Literature: Students in grades 4-12 are encouraged to choose a book and write a letter to the author about how the book impacted them. Entries are submitted into the yearly Letters About Literature contest, where students can win recognition at both state and national levels. This website allows educators to search thousands of articles on different educational approaches and suggestions on teaching. Don’t come to this website looking for curriculum, though. While this site may provide lesson plan ideas and educational theories, it is assumed the educator reading the articles already has a curriculum and simply wants advice for teaching it. Fact sheets: FEMA provides PDF downloads of kid-oriented fact sheets about how to prepare for and stay safe during disasters such as floods, fires and hurricanes. 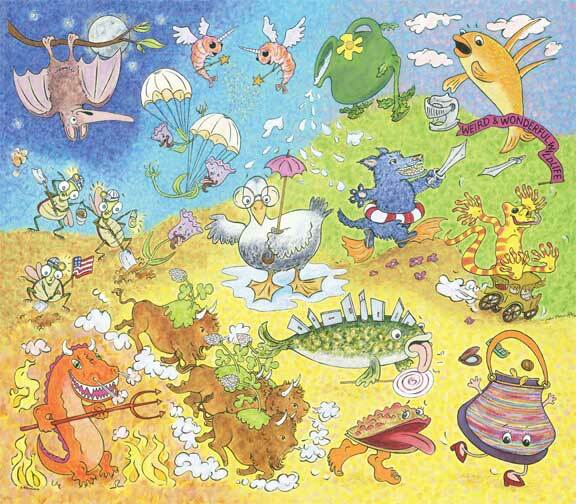 Kid website: FEMA’s companion website includes an entire section dedicated entirely to kids, featuring games, trivia sheets and more. Emergency Preparedness Curriculum: FEMA offers a PDF download of a full curriculum for grades 1-12 designed to teach students about preparing for disasters. The Federal Railroad Administration offers guidelines on keeping safe around railroad tracks, as well as free downloads of colorful posters and quizzes to test a student’s knowledge of railroad safety. Livestreams: Not only does the Center distribute free tickets for its performances, it also livestreams many of the performances and later posts the videos online! Enjoy professional concerts for free in your own home. See which talented performers are upcoming: performance schedule. Musical Theater Songwriting Challenge: Annually, the NEA holds a musical challenge for high school students who want to hear their work played in a professional setting! Winners are eligible for scholarships and other prizes. Details can be found on the linked webpage. Teacher resources: Browse images, lesson plans, teaching packets, and more for a detailed lesson on art history. NGA Kids: Kids can play games to create their own art in almost every historical style imaginable.